Although it is important to understand standard drink sizes and how they can help you estimate your BAC, there are many more things you can do to reduce negative consequences of drinking and help you stay safe. What is BAC? BAC, or Blood Alcohol Concentration, is the concentration of alcohol in the blood, expressed as the weight of alcohol in a fixed volume of blood and used as a measure of the degree of intoxication in an individual. The concentration depends on body weight, the quantity and rate of alcohol ingestion, and the rates of alcohol absorption and metabolism. Also called blood alcohol level. Before you even take a sip, ask yourself why you are drinking. Are you drinking to cover up feelings of anger, stress, or sadness? Alcohol can make negative feelings more intense and only serves as a temporary mask of these feelings. Alcohol consumption can also make symptoms of depression or other mental illnesses like anxiety or bipolar disorder even worse. You should also consider your physical health or any medications you may be taking that could have a negative reaction when mixed with alcohol. Are you drinking to fit in? A common misperception is that all college students drink. It is easy to feel that way from social media posts or if those immediately surrounding you (i.e. roommates, peers, etc.) choose to drink. In reality, 76% of USD students reported using alcohol within the last 30 days, but more than 13% have never used alcohol at all (USD NCHA-II 2016). Alcohol does not need to be a pre-requisite for fun. One tip for sober party-goers is to hold a cup. Fill your cup with something that is similar in color to what’s being served (juice, soft drink, etc.). No one will know what you’re drinking. Think about how you are going to get to the party or event and how you’re going to get home. Do you have a designated driver? What happens if they bail? What if you get separated from your group? These are all things to consider before you even leave or have a drink. No matter what you do, have a plan and a safe ride home in place! In general, men have more alcohol dehydrogenase enzyme in the body to break down alcohol (about 70-80% more). The average college male weighs 180 lbs., while the average college female weighs 130 lbs. Therefore, in general, the more you weigh the more alcohol your body can tolerate. On average, a man’s total body weight is composed of more water than a woman’s (males: 55-65% vs. females: 45-55%). The more water in a person’s body, the more alcohol gets diluted. When surveyed, those who stayed within these limits were less likely to experience negative consequences of alcohol use and less likely to be dependent on alcohol. Eating high protein foods before or while drinking is helpful in slowing the absorption of alcohol, but not after drinking as the alcohol has already been absorbed into the bloodstream. It is never a good idea to drink on an empty stomach. Being aware of how many standard drinks you’re actually consuming will help you stay safer while drinking. If you need help keeping track, try saving beer bottle caps in your pocket or download the Shots iGot and a BAC calculator apps. If you make your own drink you not only know how much alcohol it has in it, but you also know that there are no other substances in it that may be dangerous. Never leave a drink unattended as this leaves it at risk for someone to add substances. If you go to the bathroom, bring your drink with you or make a new drink when you return. Stick to having one drink per hour and avoid “pounding,” “chugging,” “shot-gunning,” or playing drinking games as these put more alcohol into your system than your body can handle at one time. Avoid shots as you can’t feel them right away and you may end up drinking more than expected. This not only gives your body time to metabolize the alcohol, but also helps you stay hydrated. Red Solo cups can hold water too! Avoid drinks that combine different types of alcohol such as Long Island Iced Teas or Jungle Juice. Mixing alcohol with other substances such as MDMA (ecstasy, molly) or marijuana can lead to negative effects like increased risk of blackouts, liver or kidney failure, seizures, nausea, or even death. Even mixing alcohol with caffeine or energy drinks can be dangerous. Combining alcohol and caffeine can cause sever dehydration and can increase your heart rate to the point of cardiac arrhythmia. Don’t take a pain reliever before bed; this will only further tax your liver. Eat a good meal. Eating will not help you sober up after drinking, but it may counteract the drop in blood sugar your body faces after metabolizing alcohol. Drinking more alcohol will NOT help you get over a hangover… it simply puts more alcohol in your body and postpones the hangover until later. If you are concerned about your drinking or a friend’s drinking, or simply want to learn more, we can help! 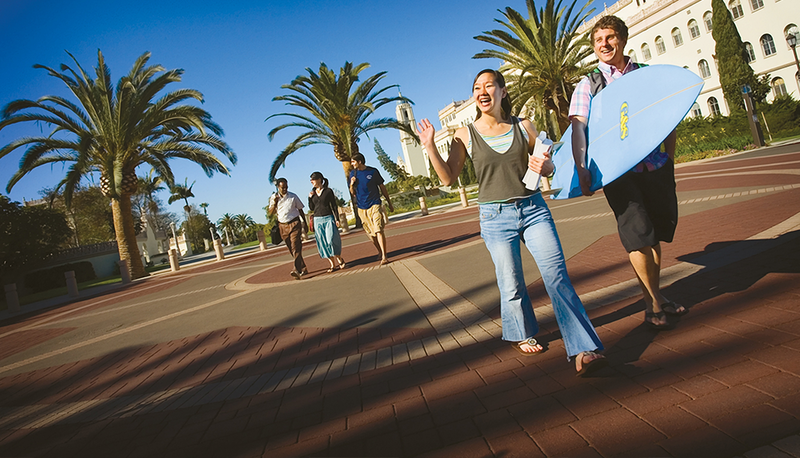 Contact the Center for Health and Wellness Promotion at (619) 260-4618 for resources and support!